1. “I’m sorry, what was your name again?” This implies one of two things and both are equally bad. Either we forgot the customer’s name, or we never bothered to get it in the first place. If we do not obtain and remember a customer’s name, we are missing one of the key elements of building rapport. 2. “I’ll get to it as soon as possible.” Whilst this may be an accurate statement, it’s not a good thing to tell a customer, simply because it doesn’t answer their question of when. It is much better to say something quantifiable like “I’ll get to it within the hour.” Be sure to keep your word. It is better to under-promise and over-deliver, than to over-promise and under-deliver! 3. “It wasn’t our fault!” This is a classic blame-shifting line. The truth is the customer doesn’t care who is at fault. Assigning blame doesn’t do a thing to fix a problem. It is more persuasive to say “I’m sorry that happened, let’s find a solution”. 4. “You’ll have to call back later.” Never put the responsibility of action on the customer. You must be the proactive one. If you’re not willing to go the extra mile for your customer, someone else will. 5. “Sorry, that is our company policy.” Policy can be a good thing. It assures that everyone is playing by the same rules, but too often it is misused. It becomes the easy way out. Instead of hiding behind company policy, take the extra minute to explain the logic behind the policy. That’s assuming, however, that there is logic behind it. Sometimes policies are made that only serve the company, not the customer. When this is the case, the customer may, or will likely, go somewhere else. 6. “I could get a lot more work done if customers would stop bugging me.” Actually, your worst nightmare is for customers to stop bugging you. Customers are the reason you exist. Never ever forget that! 7. “Please hold.” Hold on to what? Whenever you must place a customer on hold, always give them a hold time and choice. It’s okay to say “I need to put you on hold for two minutes. Can you hold or shall I call you back with an answer?” If the customer agrees to hold, you have their permission to be gone for two minutes, but no more. If after two minutes you still don’t have an answer, pick the phone back up and let them know. Customers will be forgiving if they know you care about them. 8. “I’m sorry, that’s not my job.” This is one of the most common, yet the absolute worst thing to sy. If it’s a customer, it’s your job! 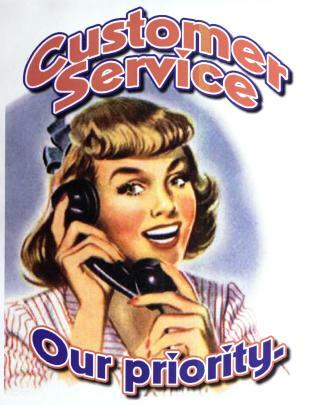 Customer service is not a title or a job description. It is everyone’s responsibility. Simply avoiding these phrases will not guarantee solid customer relationships, but their use guarantees bad ones. The process of earning customer’s loyalty never ends. This entry was posted in Your Business and tagged business, company, customer, deliver, entrepreneur, extra mile, fault, policy, promise, service, solution. Bookmark the permalink.